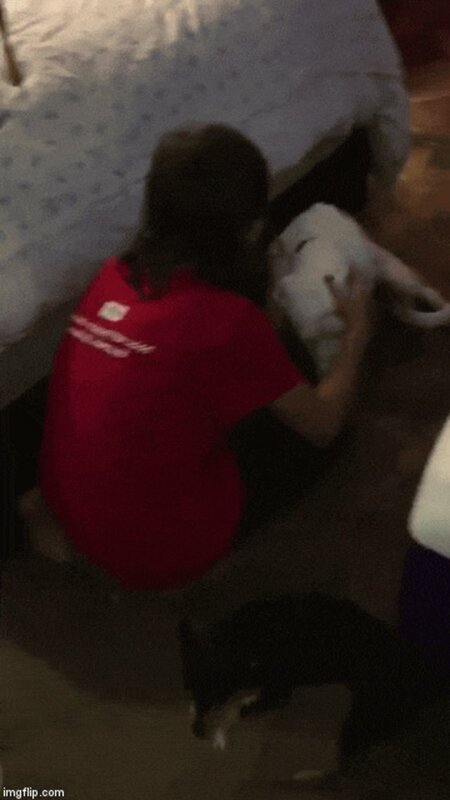 "She just breathed into my hand and I woke up and immediately paid attention to her, petting her and talking to her." Every now and then someone who saves a dog's life experiences a moment that makes it all worthwhile. For Kimberley Slown, that moment was Sunday night. 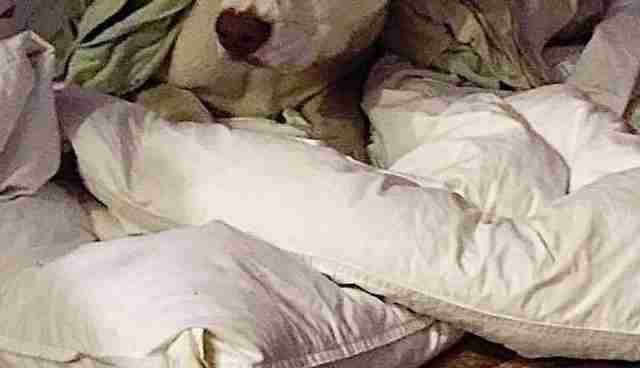 She brought home a battered dog named Niya from the Gibson County Animal Shelter in Trenton, Tennessee. 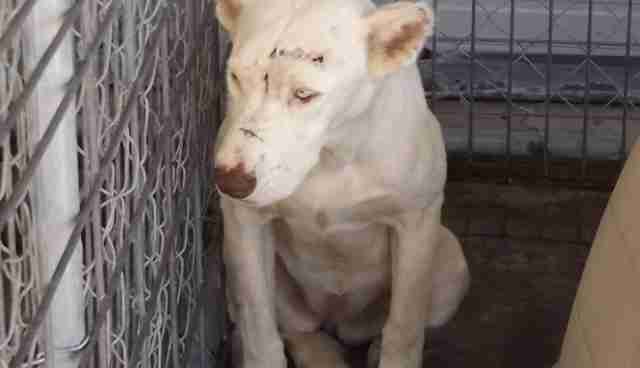 Abandoned by her former owner, the dog had completely shut down in her kennel. 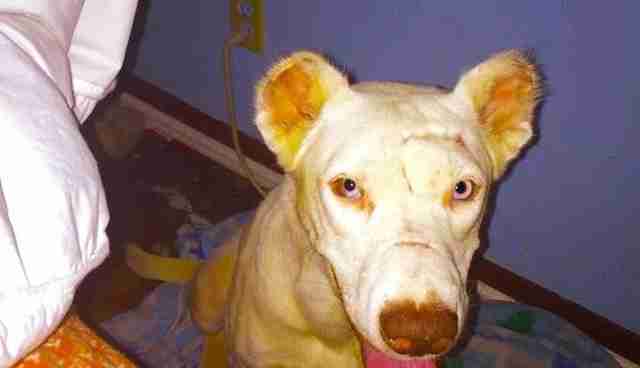 Slown, who has rescued hundreds of dogs through her organization, Arrow Dog Rescue, could see someone had hurt her. The gash above Niya's eye suggested she had been hit with some sort of tool. 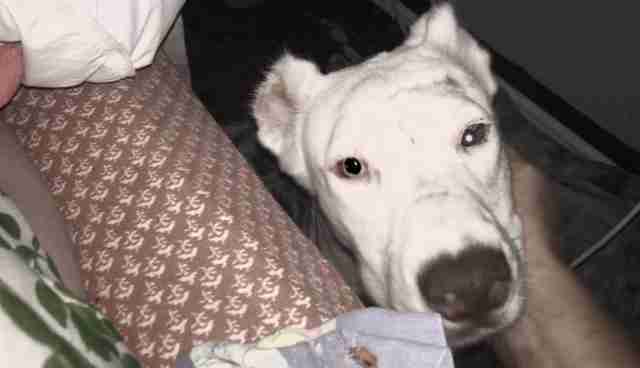 She had seen the kind of wound on Niya's nose before too - often the result of someone using a can for a muzzle. And that was just on the outside. 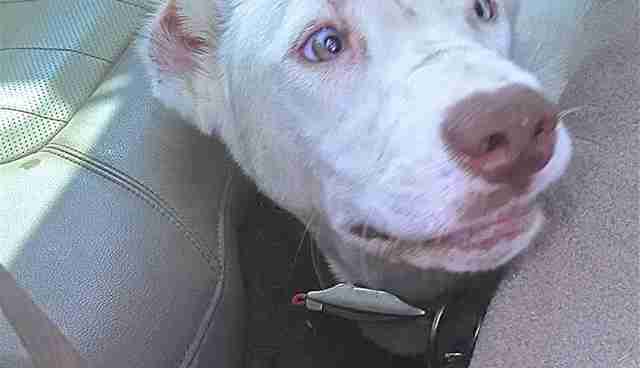 When Slown arrived at the shelter to take Niya home, she was too terrified to move. Her tail was pressed tightly between her legs. She had to be lifted from the kennel - all 47 pounds of her - and carried to the car. When Niya arrived at Slown's home, she slumped in a corner, sleeping all night and all the next day. And again most of the next night. But on that second night, that moment came. Something had stirred within Slown while she slept - warm breath against the hand she had dangled from the bed. Niya's mouth was pressed into it. "She just breathed into my hand and I woke up and immediately paid attention to her, petting her and talking to her," Slown tells The Dodo. " She smiled and leaned in." After a few moments, Niya went back to her bed. "A couple of hours later, the same thing," Slown recalls. "It was overwhelming. I was crying." Although she's just a few days on her road to recovery - Niya's still battling the hookworms and whipworms - she has already given Slown and her wife Terri a few more moments. Like the moment she smiled on her way back from the veterinarian. And the moment she settled into her first real bed. And the moment her tail flickered with joy when she realized she was among friends. 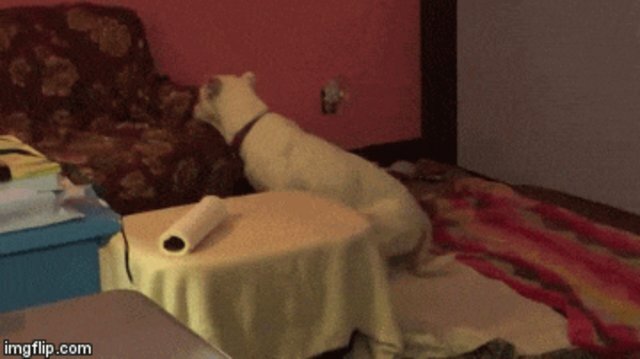 If this terrified shelter dog's first few days in a real home is any indication, she's got so many more moments to give. It will be a few months before Niya will be ready for adoption. You can follow her progress here. You can also vote for Niya in Arrow Dog Rescue's calendar contest. And if you would like to support Arrow Dog Rescue and its mission to save countless dogs like Niya, consider making a donation.